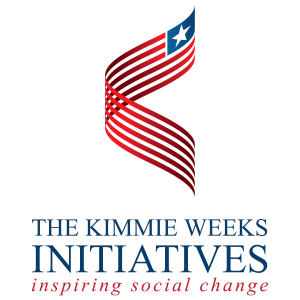 Since coming face to face with civil war, human suffering and death in his home country of Liberia at age 9, Kimmie Weeks has formed partnerships and led organizations that have provided education to thousands of students in West Africa, lobbied the disarmament of over 20,000 child soldiers and provided health care and recreation to children since the age of 14. In 1998, Kimmie was granted political asylum in the USA after fleeing multiple assassinations attempts on his life by former Liberian President Charles Taylor. Kimmie has received numerous awards for his work including the 2007 Golden Brick Awards. In 2007, Liberian President Sirleaf presented Kimmie with Liberia’s highest honor by decorating him Knight Grand Commander in the Humane Order of African Redemption. Kimmie Weeks received his bachelors from Amherst College, Masters from the University of Pennsylvania, and an Honorary Doctorate Degree from Amherst College. Kimmie Weeks currently serves as Executive Director of Youth Action International, as an executive for a telecommunications Company, and was recently appointed by Liberian President Ellen Johnson Sirleaf as Chairman for Liberia’s Water and Sanitation Corporation. Weeks serves as a member of the World Economic Forum’s Global Agenda Council and as a Young Global Leader.